November 30, 1940: The Cuban musician Desi Arnaz and Lucille Ball got married. Desi Arnaz was born in Santiago de Cuba on March 2, 1917 & Lucille Désirée Ball was born in Jamestown, on August 6, 1911. Arnaz and Ball's wedding (1940) was unstable, and she started separation and divorce proceeding in 1944, but came back to him before the interlocutory decree became final. Arnaz and Ball are the mother and father of celebrity actress Lucie Arnaz (born in 1951) and celebrity actor Desi Arnaz, Jr. (born in 1953). 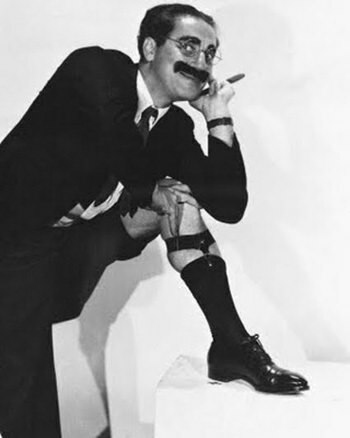 November 28, 1932: The debut of Groucho Marx on radio. 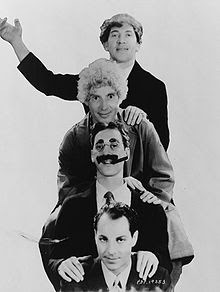 Julius Henry "Groucho" Marx was an American comedian and film star known as a master of wit. Marx worked as a radio comedian and show host. His debut was a short-lived series in 1932 titled Flywheel, Shyster, and Flywheel, a program costarring Chico. November 19: Happy Birthday Tommy Dorsey! November 18: Happy Birthday, Johnny Mercer!